Welcome to the Catholic Diocese of Little Rock! We are a faith-filled community of Roman Catholics, called to live and proclaim the Good News of Jesus Christ. Our diocese encompasses the entire state of Arkansas. We have deep roots here. As early as the 1500s, Catholic missionaries spread the Christian faith throughout Arkansas. And since the diocese’s formal establishment in 1843, faithful Catholic priests, religious, deacons and many lay co-workers have extended the mission of the Church across our state. So, what exactly is a diocese? In the early Church, the apostles formed local churches wherever they went to preach the saving news of Jesus, such as local churches in Ephesus and Rome. These local churches eventually spread throughout the Mediterranean and the rest of the known world. As Christianity spread, bishops were appointed to oversee particular local churches. A bishop’s geographical area of leadership eventually became known as a “diocese.” In the United States, the first established diocese was Baltimore in 1789. As the chief shepherd for his diocese, each bishop is entrusted with the tasks of teaching, sanctifying and governing the people of God, so as to bring them closer to Christ and to each other. In the Diocese of Little Rock, Bishop Anthony B. Taylor — with the assistance of his priests and deacons — shepherds the entire people of God throughout the state of Arkansas. Although his ministry is largely devoted to Catholics, Bishop Taylor also has a responsibility to care for all Christian faithful in need of pastoral guidance, for those who may have drifted from the faith, and for those who are the weakest and most vulnerable in our society. 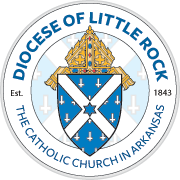 In the Diocese of Little Rock, these responsibilities are carried out through various apostolates and ministries including: Catholic charities; respect life; Christopher Homes; Catholic charismatic renewal; evangelization, education and faith formation; family, campus and youth ministries; and Hispanic, Korean and Vietnamese ministries. For a complete directory of apostolates and ministries, please click on the Ministries’ tab at the top of any page of this website. We invite you to learn more about the Catholic Church in Arkansas by exploring this website. In addition to getting to know us better, you can also keep up to date on the many exciting activities throughout the diocese. 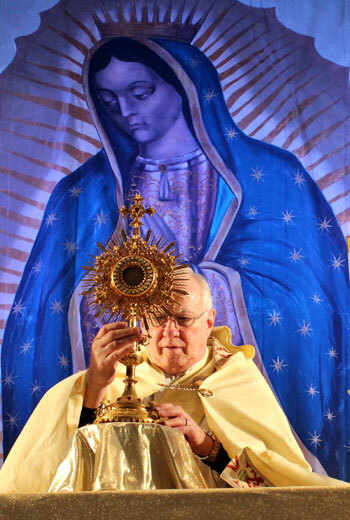 We are proud to be Catholic, and we enthusiastically encourage you to learn more about the Catholic faith!